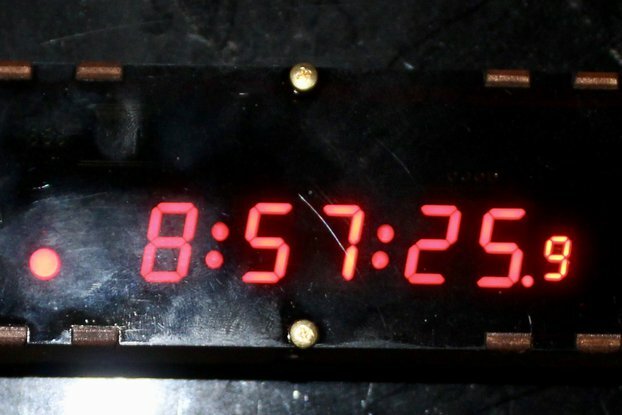 New, handmade digital clock in wooden case. 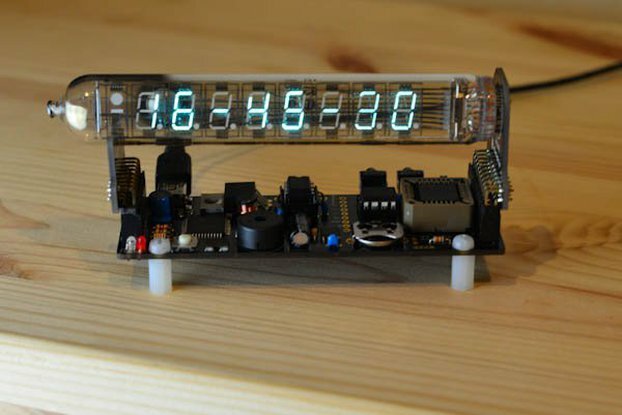 Fully handmade clock on vintage USSR nixie tubes IN-14. Hard wooden case and brass logo styled to well known post-apocalyptic game. Clock cases consist from classical materials. Only wood and metal, just like in good old times. Please note! You can choose US or EU adapter plug type for your socket. 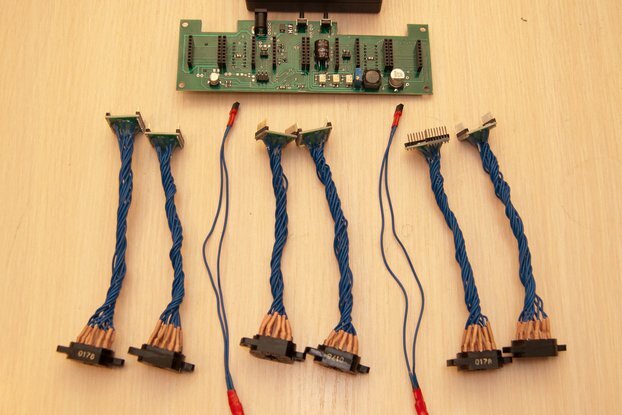 After confirming order, please notify us what type of power adapter you need.. 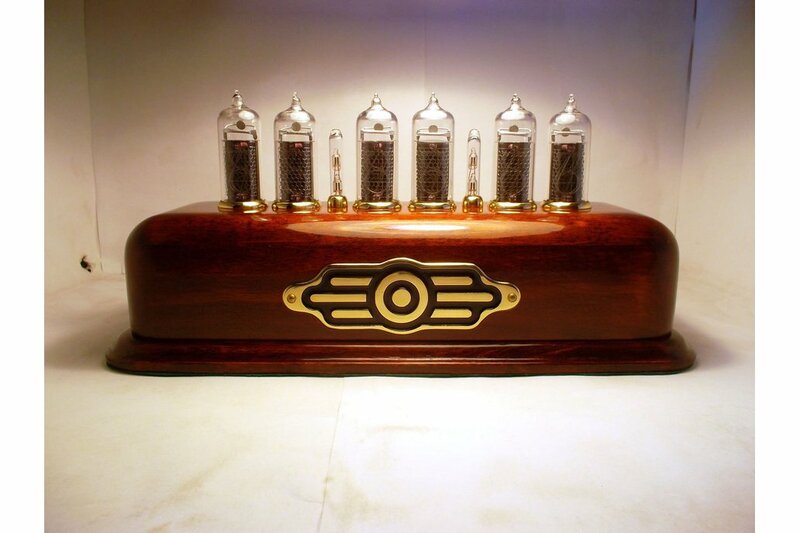 Very happy with my Nixie clock. 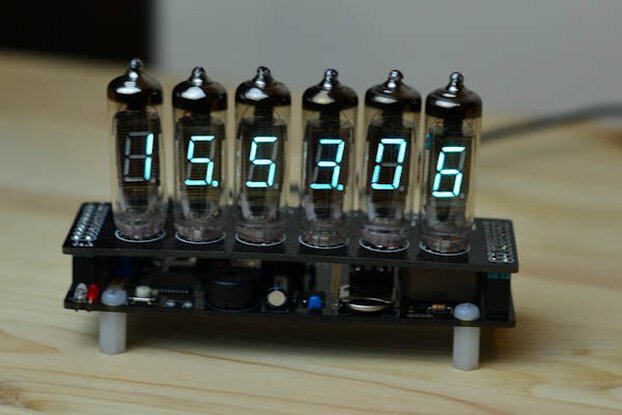 I couldn't be happier with my Nixie clock, it looks just as good in person as it does in the pictures. Communication was excellent and delivery to Australia was reasonable at under three weeks. Would buy again.